A certain operatic feel connects these two new jump up riddims from ZJ Sparks and Ding Dong’s Ravers Clavers crew, respectively. To be specific, Giants is scored to the opening shots of a suspense thriller, the pulsing cello-and-synth foreshadowing the drama that’s about pop off. Flare on the other hand sounds like the climactic point when the violinists in the orchestra pit look they’re trying to saw the necks off their instruments. Maybe someday, when people from this soundsystem generation are old and rich, the New York Philharmonic will be actually be playing these parts while Ding Dong and Chi Ching yell on the mic and make them pull up every five seconds. 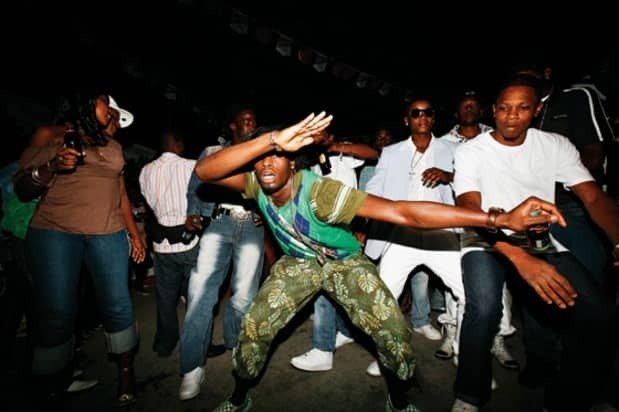 In other Ghetto Palms news, Akwaaba music—everybody’s favorite fair trade digital Afrobeat label—just sent me a palmful of kuduro remixes harvested from their Ze Bula open mix contest. My personal fav is by west coast Coupe Decale ambassador and occasional FADER contributor Chief Boima. 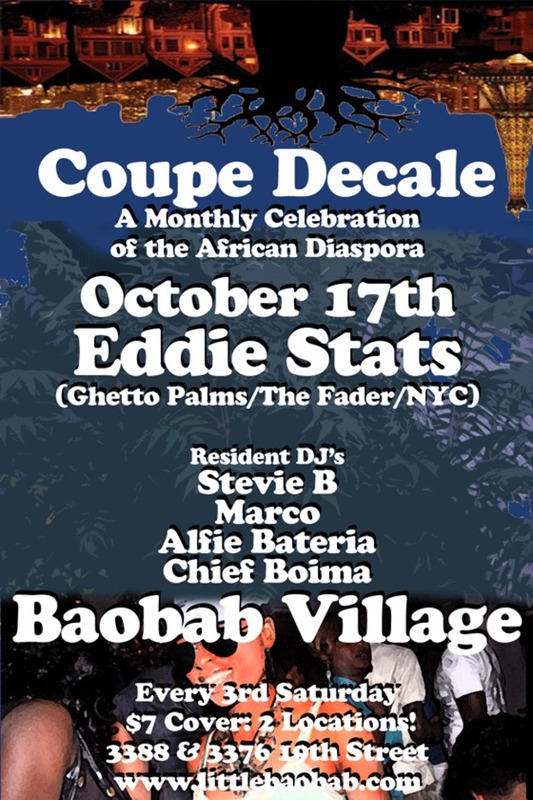 The timing couldn’t really be more serendipitous since I am flying out to the left coast this weekend to bring the Ghetto Palms experience to Boima’s residency at Baobab in San Francisco (details below). If you live in the bay, pass true, I’ll be joining Matt Africa (another FADER extended family member) at his Friday spot in Emeryville as well. Meanwhile freeload the Boima remix below and grab the rest at Mad Decent.